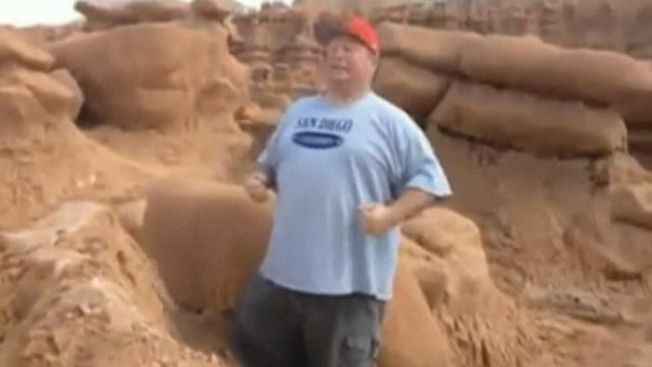 The former Utah Boy Scout leader caught on video knocking over an ancient, 2,000-pound rock formation in Goblin Valley State Park had filed an injury claim lawsuit from a traffic collision weeks before the incident, NBC-affiliate KSL-TV in Salt Lake City reported. The traffic collision occured four years ago but Glenn Taylor recently filed suit claiming he suffered serious, permanent and debailitating injuries as a result of the crash. Alan MacDonald and his 16-year-old daughter, Cassie MacDonald, who was the driver of the car that hit Taylor's vehicle, are named in the lawsuit, KSL-TV reported. The MacDonalds are outraged over the video of Taylor pushing the heavy rock. "I was surprised that the man who pushed over this 2,000-pound rock formation was the one suing me for disability," MacDonald told KSL-TV. 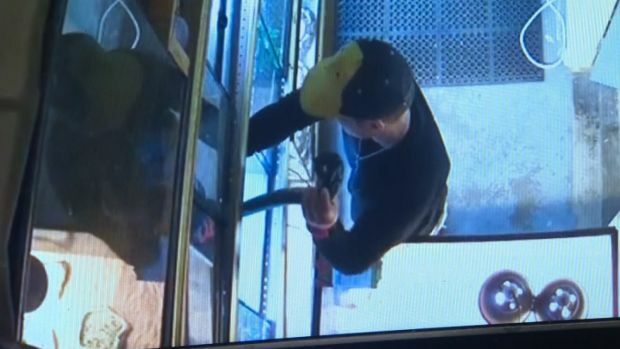 Glenn Taylor claimed he was protecting people from the fragile rock when he was shown on video knocking the rock over the 170 million-year-old rock. Taylor and fellow Boy Scout leader Dave Hall's actions while on a field trip were highly condemned by the Boy Scouts. Both Taylor and Hall were removed as leaders, NBC News reported. According to the Utah National Parks Council, the former Boy Scout leaders violated the oragnization's "Leave No Trace" policy. While Hall told NBC News that he accepted the Boy Scouts decision to remove the leaders, Taylor and Hall both believed they were not doing anything wrong at the time. Taylor and Hall may also face charges from Emory County prosecutors.